Join us every first Tuesday of every month in the Library Lobby. 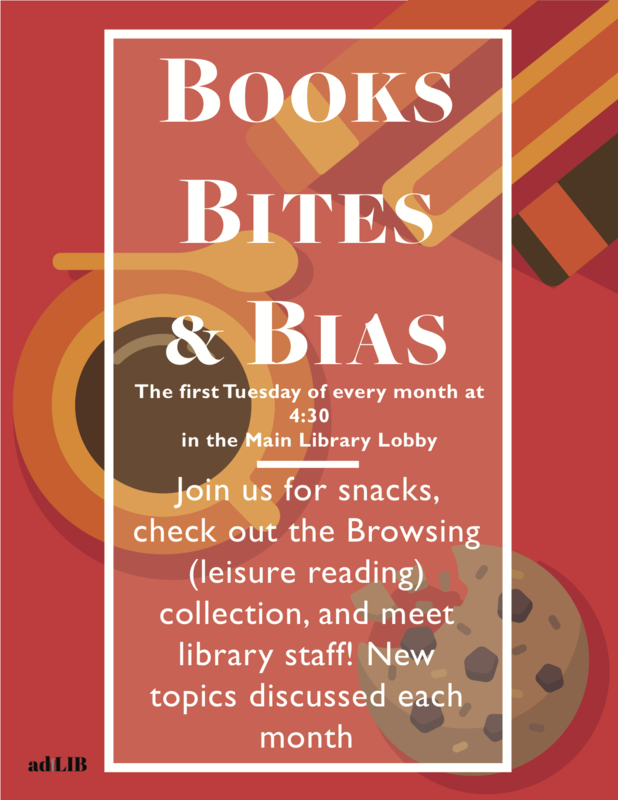 Join us for snacks, check out the Browsing (leisure reading) collection, and meet library staff! New topics discussed each month.